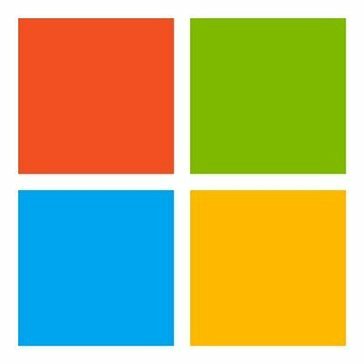 Work for Microsoft Speaker Recognition API? Learning about Microsoft Speaker Recognition API? I like the accessibility and how user friendly the software is! I thought that using face recognition was great, but speaker recognition is next level! I definitely enjoy having this ability and wish that I could do this for everything that I use. It took me a while to get everything set up as there were a couple of technical issues that I was faced with. However, I think that is just something that you will experience no matter what type of technology or system you are using. Security has definitely improved and we are able to hold everyone accountable with projects and task. "Hands free is the best way to go! " I love the fact I can integrate hands free assistance into my work day! Running a sports facility isn’t exactly easy and when you add in the extra time to input numbers, make phone calls to vendors etc that time adds up so this software has truly been a god send to my company as well as myself! Absolutely nothing it’s perfect just the way it is! Having extra time to work on more important things and freeing up time to actually engage with customers. What Voice Recognition solution do you use? "Give the hands a rest..."
The software is easy to set up and frees your hands to be able to multi-task. The repetitive nature of typing is a blessing. No major complaints. We only use the English version and the translations are pretty straightforward. As with anything, it sometimes changes the context of a statement. However, that is easily corrected when editing. Internally we have to transcribe a large volume of notes. Being able to read them out loud and add additional spoken notes really helps. For me personally, I suffer from carpel tunnel and this frees my hands up a bit to relieve the pain from extensive typing. I enjoy the fact that the speaker can easily hear when i am talking to it, and can recognize my voice for that reason. I'm glad the voice option isn't as difficult as it would seem and is easy to ask quick information to the speaker. i do not like how the speaker sometimes doesn't understand what i am saying. Sometimes it won't get everything and I'd just figure the info myself instead of having to repeat myself. Especially for business reasons, this is annoying. I solve quick questions like can you figure what this would do and etcetera. The software is very user friendly. I never thought of a speech recognition software prior to this. It has helps us improve tremendously. We didn't have many difficulties with the installment of the product besides the kinks of any software that you work with. The security features on the API need to be improved. The API has benefited our office by keeping everyone accountable with the progress and accomplishment of different products and tasks. "Helps Make My Data More Secure"
I like how it can identify who is talking. It helps when my co-workers are talking in the hall. I don't like how long it takes to enroll each speaker in the system. Follow instructions online and don't try to set it up without help. We used it for a brief time to see how it could affect our data security as we had an internal data breach a few years ago. My natural speaking voice sounds like i'm always congested. This was much easier to talk to than Siri when I am asking for directions. That it is not something that is included in Microsoft 365. It is a separate function. We have had someone break into offices in my work building and this product makes it harder for that person to access our personal data if they stole a work laptop. "Easy to make AI application"
All load are being handle by the api and this will benefit a lot. I dislike that sometimes its not the most user friendly. Recommended to use on a newer device. Tends to run slow on some of my older machines. When having new machines installed, we use this to recognize the new speakers and the quality of the sound. "Microsoft Speaker Recognition API "
It is easy to use and understand when I use it on a daily or weekly basis. I have trouble sharing it with others if they do not use it. Great to use just depends what you are using it for exactly. Speech for voice authentication and authorization. Great benefits for this. It's great for multitasking, and freeing up your hands. It's a bit slow to respond, but fine if you're patient. We only use the English version so I can't speak to other lagnauges. multitasking needs, and freeing us up to do get more things done. "Not bad, but can be better"
Very easy to transcribe even in a noisy environment. Easier than typing. Easier than thumb sensor and other methods. Good tech support, billing management. Can recognize some expressions. Multitask while using. Valid and more protective than other methods of identitfication. I like the main feature where the your voice can be used as verification and identification. There are issues recognizing accents especially in groups. It still has bugs when it comes to group identification. "Easy use but expensive "
* We monitor all Microsoft Speaker Recognition API reviews to prevent fraudulent reviews and keep review quality high. We do not post reviews by company employees or direct competitors. Validated reviews require the user to submit a screenshot of the product containing their user ID, in order to verify a user is an actual user of the product. Hi there! Are you looking to implement a solution like Microsoft Speaker Recognition API?